In This Scene: Tosca Soraya in a black and white lace dress from her collection. 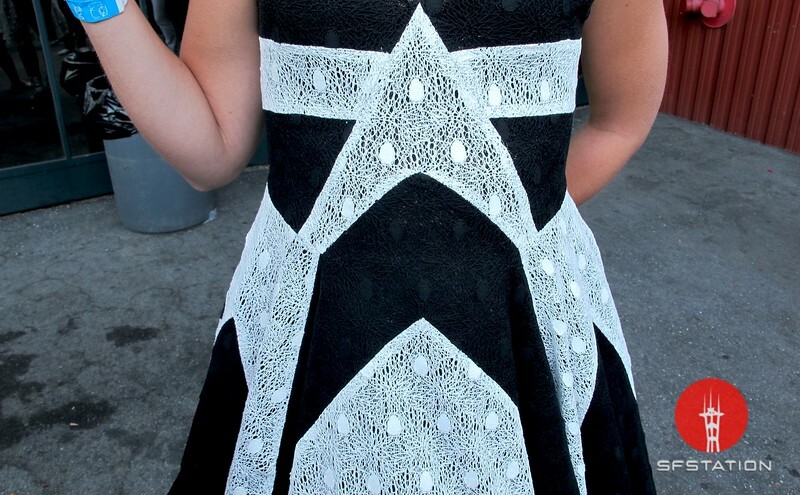 I just love this gauzy, polka-dotted lace. This dress really shows Soraya's pattern-making skills--each panel is cut and sewn in a interesting way to create the shape of this dress.